Once a week I post interviews with interesting people about their insights on their experience of working in the Knitting industry. 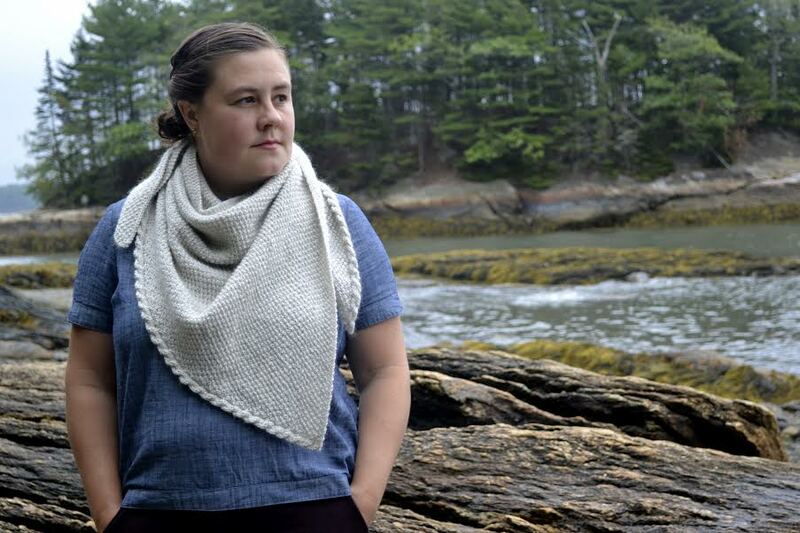 I’ve noticed that every one of these individuals makes their living in a slightly different manner bringing their own unique presence to the knitting world. You can find Beatrice here and here on Ravelry. Everywhere! 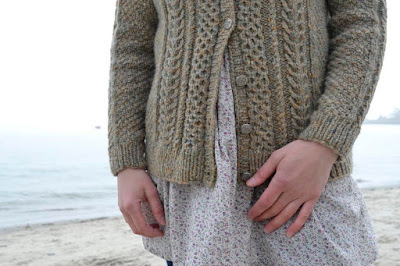 But mostly from fashion, either ready to wear, classic knits (I adore Shetland Haps and the Lopapeysa) or just "the thing I want to make because I want to wear it". I have really enjoyed working with magazines and yarn companies because their mood boards often bring me an idea that I never would have thought of without the prompt. Cables. I adore every kind of cable. Which doesn't always show through in my design work, as I find the patterns of mine that sell best are usually lace. I start with the CYC Standard sizes. Sometimes these change through the design process because of how stitch patterns fit into those sizes or because of gauge issues. After designing a lot of sweaters I've also learned a lot about what does and doesn't work, and so I may tweak standard sizing depending on prior experience. Do you look at other designers’ work or are you afraid that you will be influenced by their designs? We don't live in a bubble, and it is impossible to design something without any influence at all. I went to Art School and this was a huge topic of discussion. All art is influenced by other art in some way and things evolve over time. I do look at other designer's work, but I try to be mindful of not creating something that is already out there. And I try to be respectful of not replicating something that someone else has done. Original ideas are hard, and I think the most inspiring designers (Bristol Ivy for instance) are exceptional at original ideas. How do you feel about the so called controversy of “dumbing down” patterns for knitters? Creating a pattern for the right skill level is tricky. To me, my patterns are simple. But for many they are difficult. It depends on every individual's skill set. I think my patterns provide the basic information, but they certainly aren't written to teach. I think we all need to be responsible for our own learning and growth as knitters. Creativity and learning are ultimately an individual journey. While it can be useful to have a teacher, we can also take responsibility for that ourselves. I have learned a tremendous amount through trial and error, ripping back ten times, and swatching. I can't say enough about swatching! I think what holds us back much of the time is fear. It's amazing what you can learn if you let go of the fear of failure and see it all as an experience. I do a lot myself. I do have a handful of sample knitters that I can call when I get into a bind. I definitely used some of these people for my most recent project, which is a book. 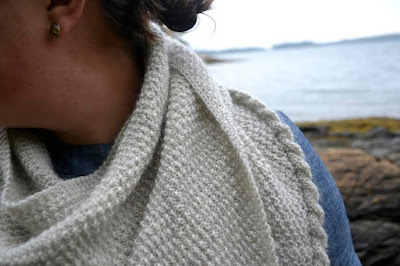 It helped tremendously, as I had so many pieces to knit. I occasionally run tests, but I just give a shout out, though there are a few folks who have tested for me repeatedly. 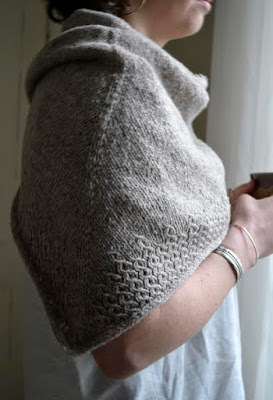 I've also found the "Free Test Knitters Group" on Ravelry to be very helpful when I really need a pattern tested. No. But I do take time to reflect on what I want, where it is going, etc. And I try to keep my books accurate. This is evolving and what I want from it is always evolving too. So many! Bristol Ivy in particular has been such a mentor. When I first was playing with the idea of designing she sat down with me and let me pick her brain. She's been an amazing cheerleader, and has helped me along tremendously. I live in Maine where there are so, so many talented designers: Bristol Ivy, Carrie Bostick Hoge, Alicia Plummer, Pam Allen, Leila Raabe to name just a few. These women as well as a few others (Kate Davies, Ysolda Teague and Alabama Chanin to name a few) are so inspiring for not only the designs they create, but also for the businesses they have built to support themselves, and in some cases, others! The only thing that inspires me more than a talented handwork designer is a woman who has turned that into a thriving business. Women entrepreneurs rock! Do you have a business model that you have emulated? Not at all. I started very "fly by the seat of your pants" and I'm constantly evaluating which pieces of the design puzzle work financially, and for me personally. It's an ongoing evaluation. Absolutely! My pattern skills have grown immensely because of it. 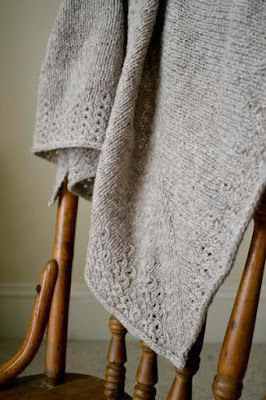 I learned very early on that it is a very different thing to create a hand knit yourself then to write a knitting pattern for it. I owe a lot to my tech editors. They're amazing and I adore them. Ha! It's a work in progress. I always welcome constructive criticism. Like I said, I went to Art School. Art work was constantly discussed and deconstructed in detail. I'm not adverse to constructive criticism, I welcome it. Criticism that is just nasty or mean hearted however, I have no patience for. There are valid criticisms (ie. your pattern has an error, the way this is written is confusing, etc.) there are criticisms that are helpful but may be a personal preference (I prefer top down construction) and then there is just plain mean. As I recently said on Instagram in response to a nasty email: "It takes a tremendous amount of time to create a knitting pattern. It is, in its essence, a creative act. 2. It is difficult to write a pattern that works for every individual and their personal preferences. 3. Even after thorough writing, editing, and testing sometimes errors do occur. We are all humans, not machines. If a pattern is not written to your personal preferences, or if you happen to find an error, that does not give you the right to insult or berate the pattern writer. Let's all remember that there is a human person on the other end of an electronic communication receiving your negativity. 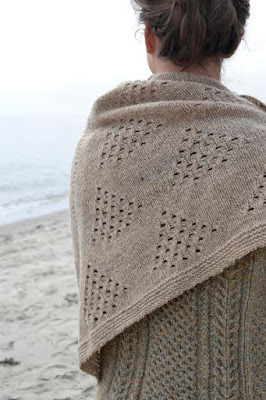 And beside the fact that I work really, really hard to create the best knitting patterns I can, for virtually no return, it is hurtful and simply unnecessary to put that kind of ill feeling into the world. This is knitting here. And if we can't even be kind and civil over some wool and needles, how are you we going to solve the bigger problems of the world?" I'm still working on that goal! While I've started to see my sales go up, it takes a lot of time to create a knitting pattern, plus editing costs, paying a model, yarn, etc., etc. Add to that the overhead of program costs, website hosting, etc. While the overhead isn't as much as some businesses, there is overhead. I've seen that it is possible to make money doing this, but I'm not there yet. Give it careful thought. Try a few patterns to see if it's something you like doing. Talk to other designers. And listen to Tara Swiger's podcasts, because they have helped me be thoughtful about my business in countless ways! And find a way to strike a balance so that you don't lose your hobby to work! There is a lot going on for me right now. I am currently working on a book, MAINE Knits that was funded through a Kickstarter campaign. 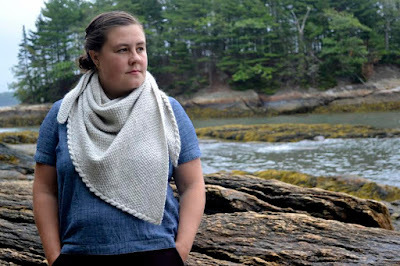 It has designs from 10 different Maine designers, including myself, Carrie Bostick Hoge, Alicia Plummer, Bristol Ivy, Cecily Glowik Mcdonald, Mary Jane Mucklestone, Elizabeth Smith, Leah B. Thibault, Kristen TenDyke, Leila Raabe. On top of that, I've just started a new job. For the past several years I've been home with my 2 and 4 year olds. Now I'm excited to work outside the home, but this will definitely mean a slow down for my design work. I'm looking forward to the chance to do some reflection on why I do this and how it serves me in my life. And I'm very much looking forward to some personal knitting time! September is Here, Time to get Back to Work!